I bet you're thinking that I'm about to share my favorite dresses from the Grammy's red carpet, right? Well not exactly. 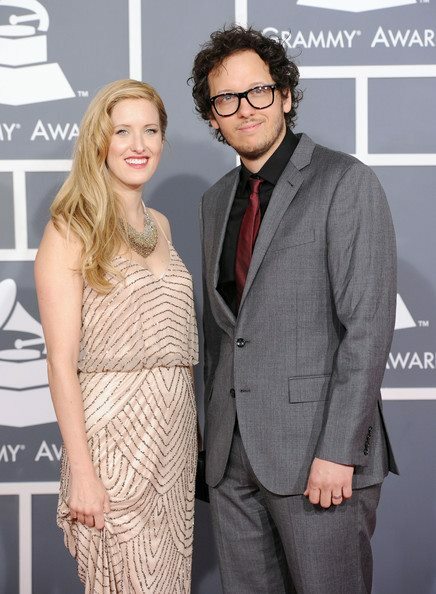 Our favorite Christian band, Gungor, was nominated for their third Grammy this year, this time for their album Ghosts Upon the Earth. A.ma.zing! (I feel like I'm almost a celebrity just for the fact that I know 2 and that I live close enough to the home of another band - Bon Iver. This surely has some rub off, don't you think? But then again, I feel like I also know Bachelor Ben by the pure amount of time I've spent listening to him share his feelings. And well, I think he'd say he doesn't know me at all, so ....). 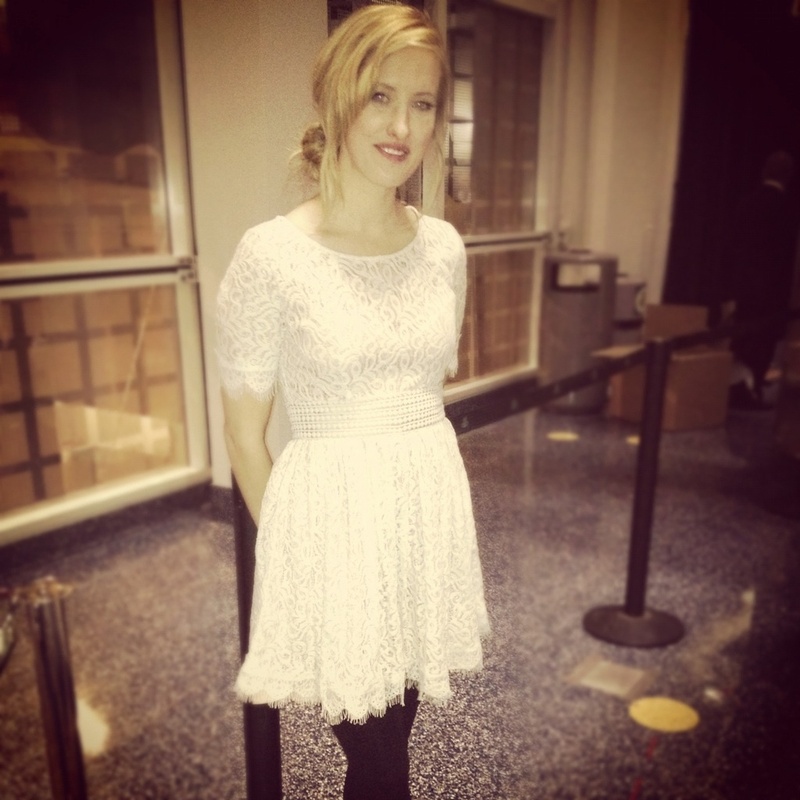 Anyway, Lisa (who is another of the Gungor girls, as we fondly called ourselves) is the prettier half of Gungor and she asked a few friends if we had any Grammy worthy dresses in our closet. I, of course, had nothing quite as spectacular as that (long time readers may remember me suggesting that she remake my shower curtain into a red carpet gown last year, brilliant thinking on my part) BUT I did have my much adored lace dress that ended up being just perfect for a couple of Grammy functions that her and Michael attended. I KNEW you were worth the investment! Here's Lisa's actual red carpet dress. Stunning! If you've not heard Gungor yet for yourself, you can check them out at here or buy their album on iTunes. Thanks for sharing your pics with us Lisa. You looked gorgeous!